That’s right – a special call with no forms to fill out, nor any fees. Just shove your limericks, haibun, and prose poems in a file and fling them to Jessi. You’ll hear her decision on whether or not they’ll be included by 15 April 2019. 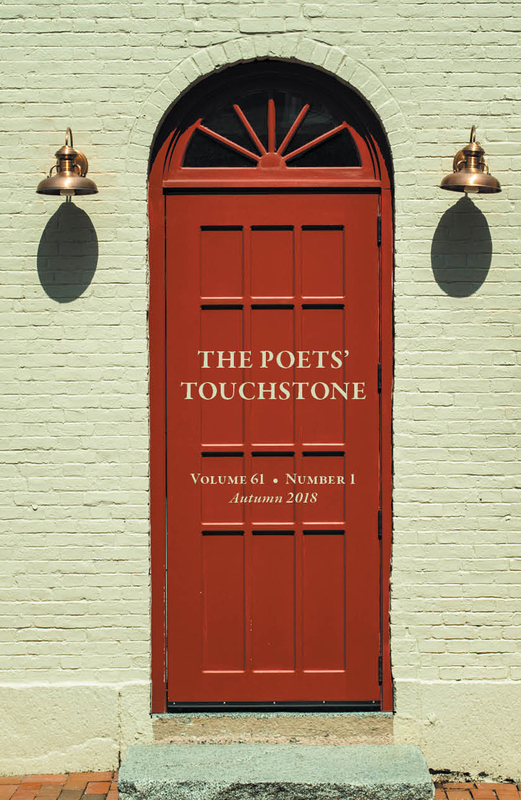 If you haven’t received it already, members should receive the Autumn 2018 issue of The Poets’ Touchstone in the mail this week. Many thanks to Ala, Liz, Don, and Priscilla for wrestling with mail merge and braving the bulk mail system. This should be the last issue to come out late. Production of the Spring 2019 issue (slated for mid-May) is currently running ON TIME. To the winning poets: Congratulations and many thanks for sharing your words with us! The Autumn 2018 issue of The Poets’ Touchstone is printing as we speak. There were several major issues that caused delay, but the final hurdle was cleared this morning and copies should start shipping out in three weeks. 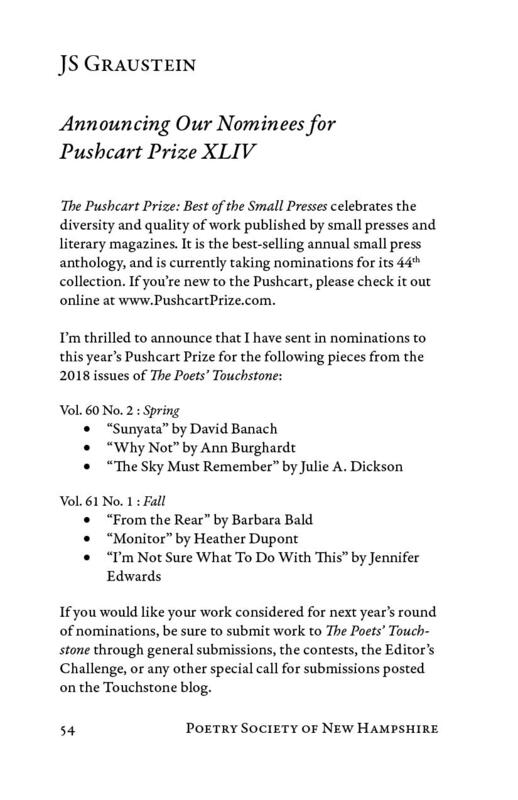 Puschart Prize Nominees. Click on the image to enlarge. 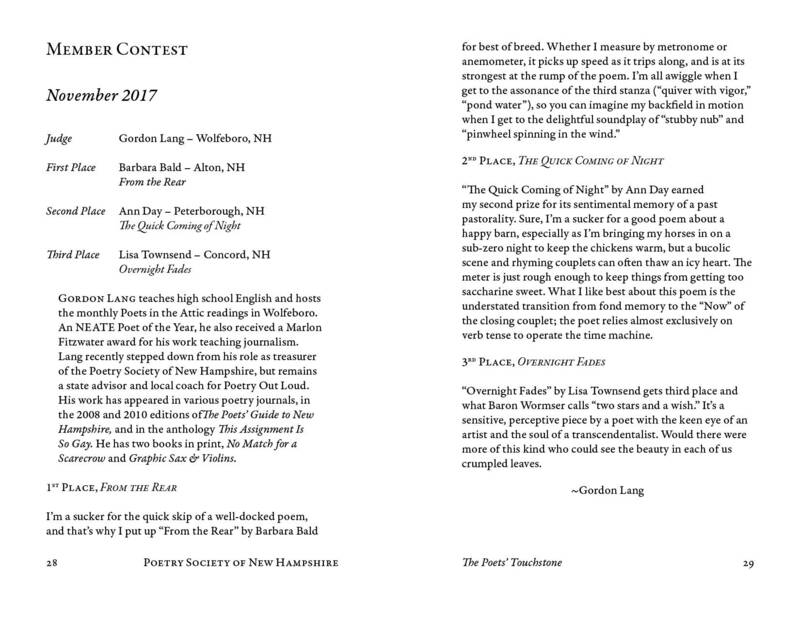 One new addition to the Autumn 2018 issue is a list of our Pushcart Prize Nominees. To my knowledge, this is the first year that nominations have been sent from The Poets’ Touchstone. It won’t be the last! If you’d like your work considered for the 2019 nomination packet, please be sure to submit work to our general & special calls for submissions. General submissions for the Spring 2019 issue close tomorrow. But in January and February, I will be posting some special calls for submissions here for the spring issue so there will still be some chances to get work included. Be sure to “follow” or “subscribe” to this blog so you’ll be notified when each special call is announced. And don’t forget to send us your new title announcements and excerpts from collections you’ve already published. I also hope to revive the Editor’s Challenge in time for National Poetry Month in April. Many of you have been asking about contest results so I’ve included images of the first spread for each contest below. The selections for the November 2017 Member Contest. Please click on the image to enlarge it. The selections for the May 2018 National Contest. Please click on the image to enlarge it. As you’ll notice by the dates, this means we are completely caught up with our contests. 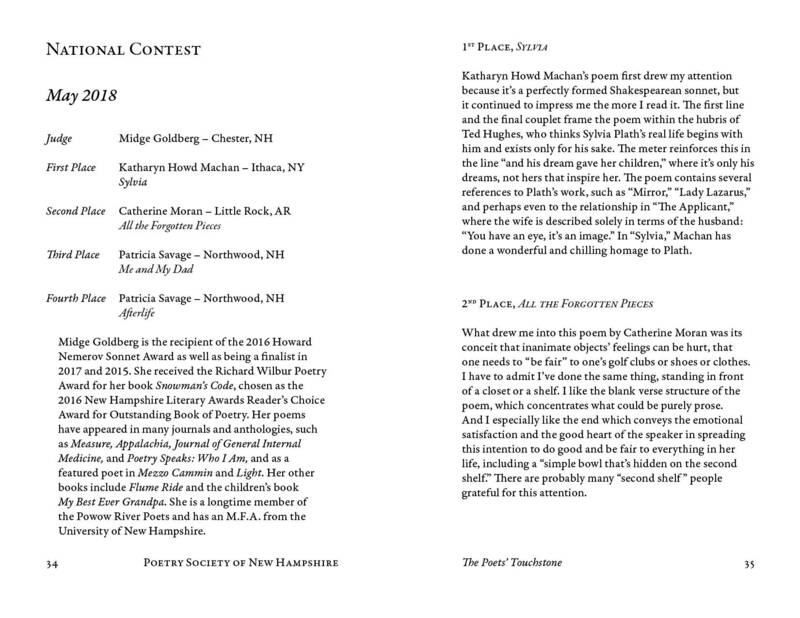 From the Spring 2019 issue forward, we will only be printing the winners of one contest per issue. Please also note that we can’t post future results publicly until all winners have been notified. Front cover. Click on the image to enlarge. One fun fact for future reference: I’ve been working with the PSNH board to set up a new blog-site for the society instead of the current website that is hard (and expensive) to update. The TPT updates and submission forms that are stored here might end up moving to the new blog-site so that everything is under one roof. We will be sure to post the new link here if that happens. Thanks so much for your patience this year as we iron out our publication process. It’s still a work in progress, but we hope it smooths out soon. We do appreciate you, members & readers all.